An upper level low and a cold front will bring clouds, rain showers & a few isolated, non-severe storms tonight & Friday. The rain should clear out Friday night and below normal temperatures will continue through the weekend and into early next week. TONIGHT: Cloudy. Rain Showers & A Few Isolated Storms. FRIDAY: Cloudy. Rain Showers & A Few Isolated Storms. SATURDAY: Mostly Cloudy & Cool. SUNDAY: Partly Cloudy & Continued Cool. High clouds began spreading across North Texas on Wednesday. And those clouds will be evident again on Thanksgiving Day. An approaching cold front will bring a slight chance of showers Thursday evening, with rain chances increasing Thursday night into Friday morning. Thanksgiving Day: Partly to mostly cloudy, with a high around 70. Wind: Light and variable. Friday: Mostly cloudy and cooler with rain showers likely. Low 47. High 55. Wind N 10-15 mph. Saturday: Sunny to partly cloudy and mild. Low 40. High 61. Wind N 10 mph. Sunday: Mostly sunny, breezy and cooler. Low 40. High 54. Wind N 15-20 mph. Late November is that time of year when the weather in North Texas can go in just about any direction. Last year, it was definitely the first taste of winter. Areas from Fort Worth up to the north & west saw a light wintry mix and much of the area was under a freeze warning. A Winter Weather Advisory was issued the Saturday and Sunday after Thanksgiving to the northwest of the metroplex with even a few slushy roads and bridges by Sunday. Two years ago Thanksgiving day was quiet, but one week later we had our first winter weather event with a cold rain, freezing rain and even snow flurries. This year will be much too warm for wintry weather, but a disturbance could bring showers & storms both Thursday and Friday. The warmest Thanksgiving ever in North Texas was in 1965 when the high temperature soared to 88 degrees. The coldest ever was in 1993 when the mercury dropped to 23 degrees. November 25th, 1993 was also the Thanksgiving that will be remembered as the most winter-like. Freezing rain and sleet fell during an afternoon where the temperature never got above freezing. The day is forever linked to a fateful Dallas Cowboys game. That game was the only football game played in winter precipitation in Dallas. The wettest Thanksgiving ever: 3.06″ of rain fell in 1914. We’ve had an impressive string of beautiful weekends in North Texas. You have to go all the way back to September 13th (when Hurricane Ike hit Texas) to find the last time any rain fell on a weekend at DFW Airport. That could change today with light, scattered showers in the forecast. Rainfall totals will be low with the heaviest rain east of I-35. More importantly, this is Thanksgiving week when people’s thoughts turn to holiday travel. The metroplex has certainly had its share of interesting Thanksgiving weather events; who could forget Leon Lett in the Texas Stadium snow back in 1993? Last year, temperatures plunged to the 40’s and rain moved through the area causing travel problems. We’ll avoid the winter winter this year with a high in the 60’s. However, the current forecast has scattered showers moving through North Texas on Thanksgiving Day so there could be some travel troubles. A few years ago, I lived a life-long dream, when I made a trip to Antarctica. I went as a tourist, on a ship sailing from the southern tip of South America, down to the Antarctic Peninsula, where I sailed among icebergs, got close-up views of whales, penguins and seals, and walked in the snows of Antarctica. It was a trip of a lifetime for me. But one of our former interns in the weather department has put me to shame. Krissie Shiroma spent a summer with us, learning the broadcast meteorology business, and then spent 5 years working at TV stations in Sherman-Denison, and in Iowa. But now, her career has taken a big turn. 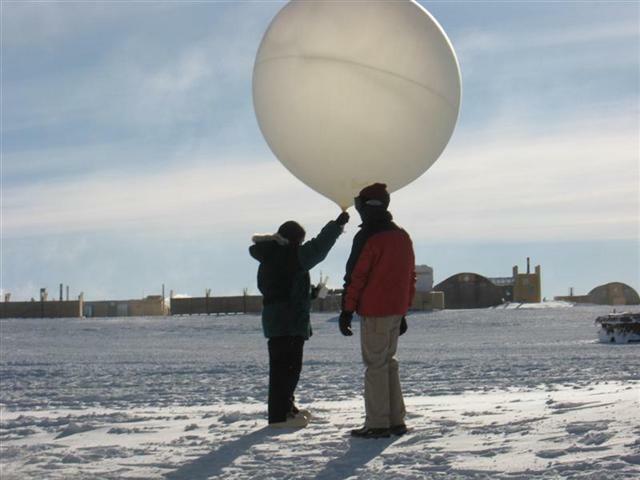 Krissie is spending the next six months at the South Pole. 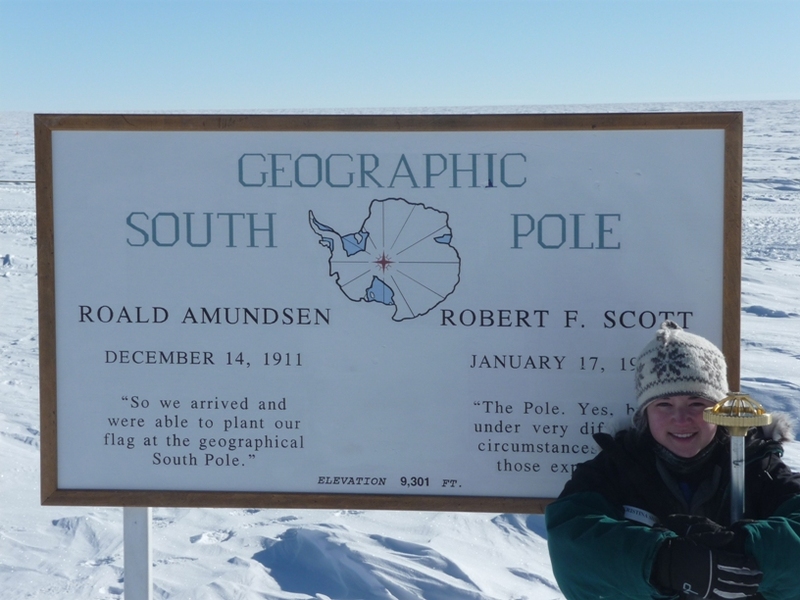 Not just Antarctica, but at the actual pole itself! do the whole process, all by myself, every other day. 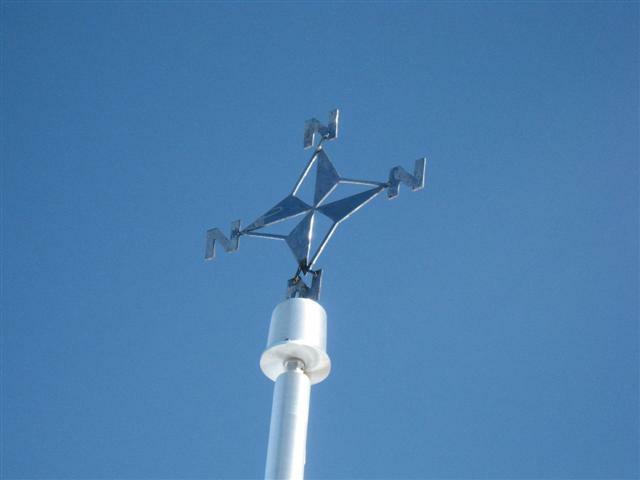 Since every direction is north here, we work on a directional grid system so that we can still call winds N,S,E, and W.
The Prime Meridian is our north. I live in a Jamesway, or Quonset hut. I can’t take a picture of it right now, because the cold killed my camera battery. It’s basically a big tent. You can hear everything – every cough, every sneeze, every conversation, every nose blow, and every person walking in the snow outside. There are 13 rooms in my hut – 6 or 7 on each side of the hall. Some rooms are double-sized. Mid-tent, there’s a furnace area. Some rooms have a wooden door, and some rooms have a tent canvas door flap or tent canvas on a shower curtain rod. Thankfully mine is wood. The huts are dark and quiet (for the most part), and the hallways are lit with red light bulbs so you can see your room number. The rooms are all different shapes and sizes and come with different set-ups. My neighbor’s bed sticks out into the hallway. If you happened to have had a carpenter living in your room before, you might be set up with some pretty sweet shelves, like I am. 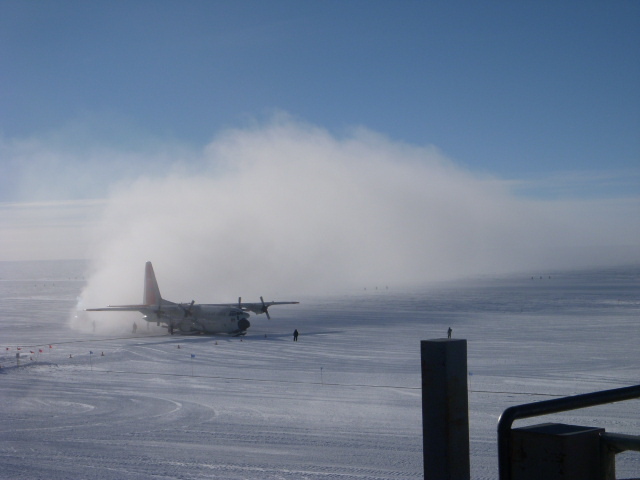 I was on the second flight into the Pole for the summer season, so when we got here, the place was pretty empty. But that first night, we also learned how inconvenient not having indoor plumbing is. Camping is sure fun, for about a week. And then you drive home and thank the heavens that civilization has provided you with all kinds of neat things. The Bathroom. Imagine that every time you had to get up in the middle of the night to pee, you had to get dressed in winter clothing, walk down a 25 foot long hallway that’s minus 65 degrees, step over a 6-inch by 1-foot long snow mobile tread, and have a night light as bright as the midday sun. And when you were done, you had to walk down the same said hallway. Well, this is not ideal. clouds to form. It’s so cold that contrails can form on the ground. want to eat. And I’m always willing to eat. One of the funniest parts of this story is that Krissie’s family is from Hawaii. But Krissie herself was born here in Dallas, and grew up in Richardson. So she is used to warm weather, and this is quite a change of scenery (and climate) for her. Good luck with your new job Krissie, and keep warm.